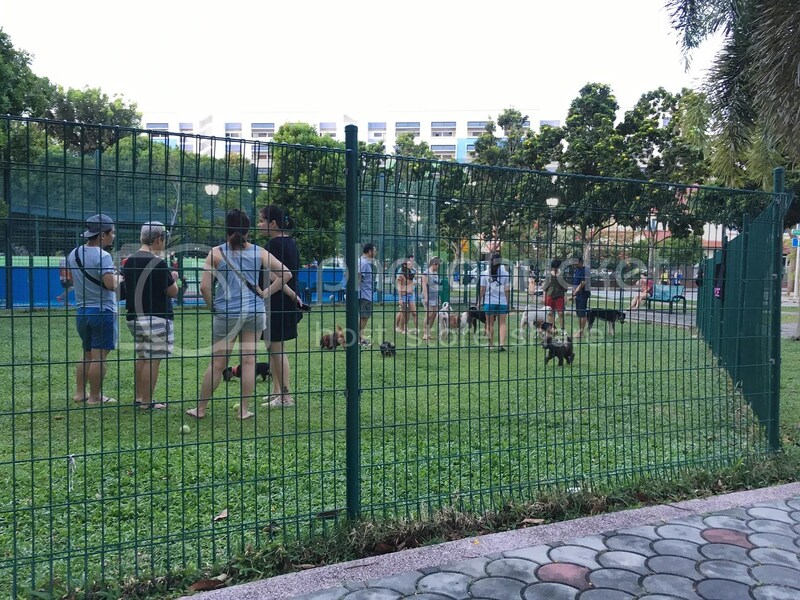 There aren’t many dog-friendly places in Singapore, especially a safe, enclosed place where the doggies can be let off leash and run freely happily. 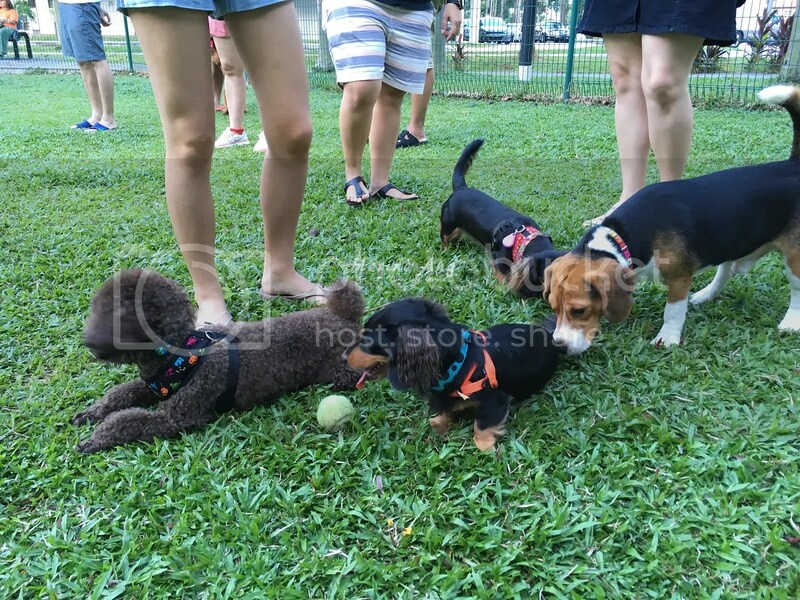 The most common dog run in Singapore we’ve heard of and been there is the one in Bishan Park – not only there is a water tap available, there are also many dog-friendly cafes situated within the park. 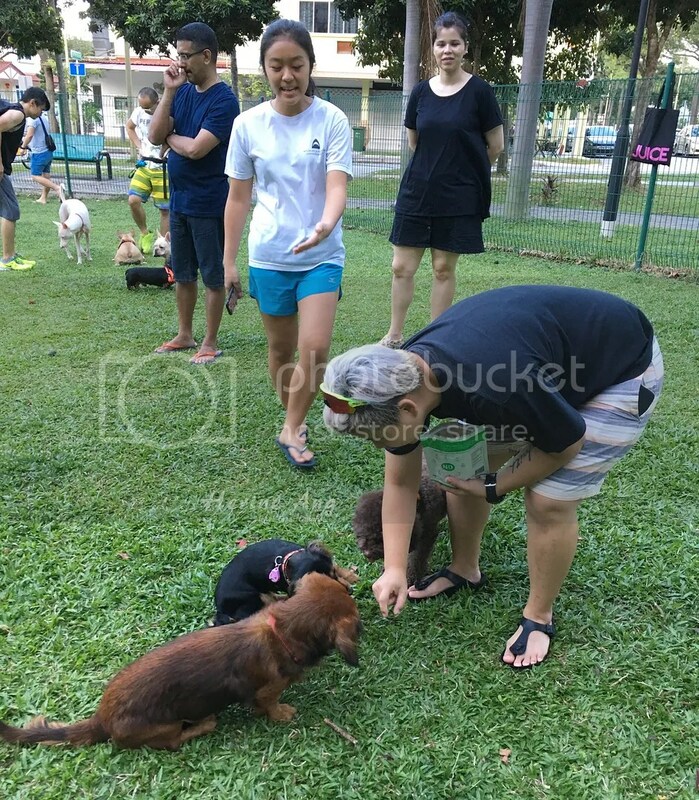 However, it can be quite tiring to drive all the way from the east, so when we heard about a dog run in Simpang Bedok, we didn’t waste time to check it out with fellow pawkids and pawrents! 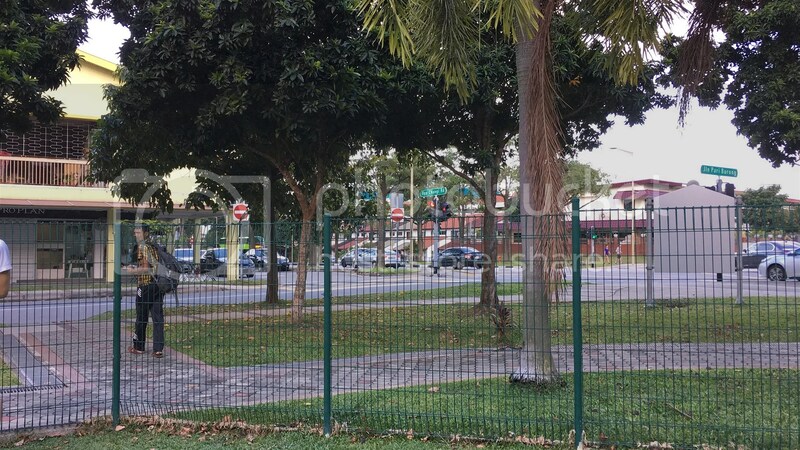 Located along the cross section of Upper Changi Road and Jalan Pari Burong, this place can be easy to miss if we didn’t know where to look out for. 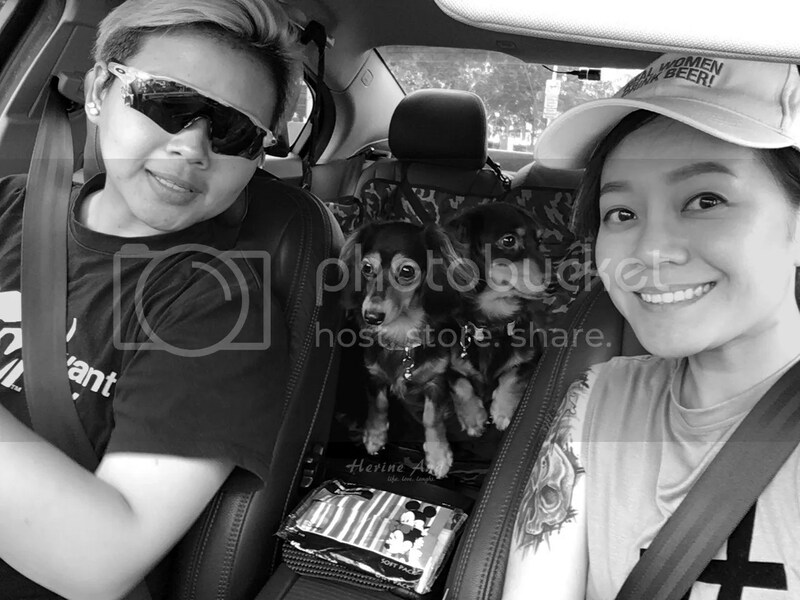 Parking is easy on Sundays so far, but except for a grooming shop there, there seems to be nowhere else that the humans can go take a leak or sit down after runs with the furkids. There is no water point too, so be sure to bring plenty of water for your pawsies! Princess Mila aka The Barkersaus has no volume control. If you ever bump into us here, come forth and say hi! Mila is just loud and talkative but pretty harmless! 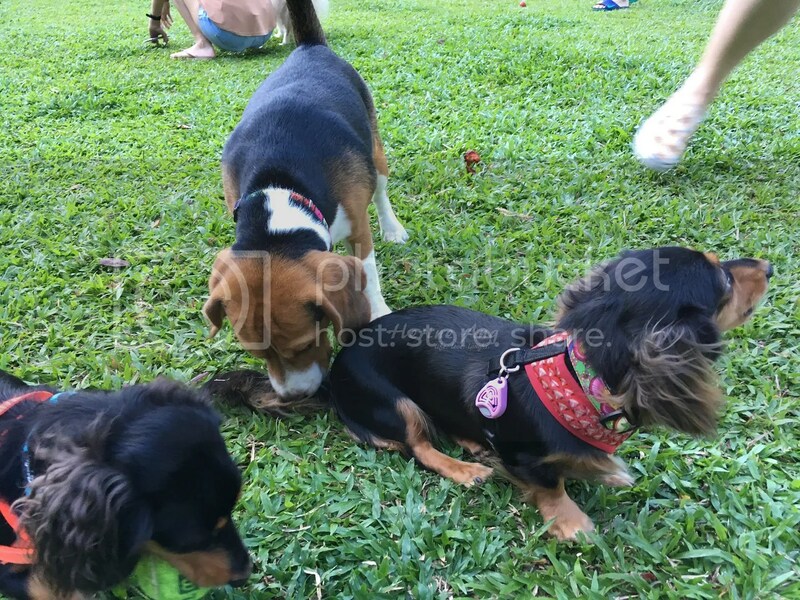 Check out “We Heard What The Dogs Say Through A Communicator“. What commanded such attention when there are so many dogs running around? The treat-suspender has some tricks! 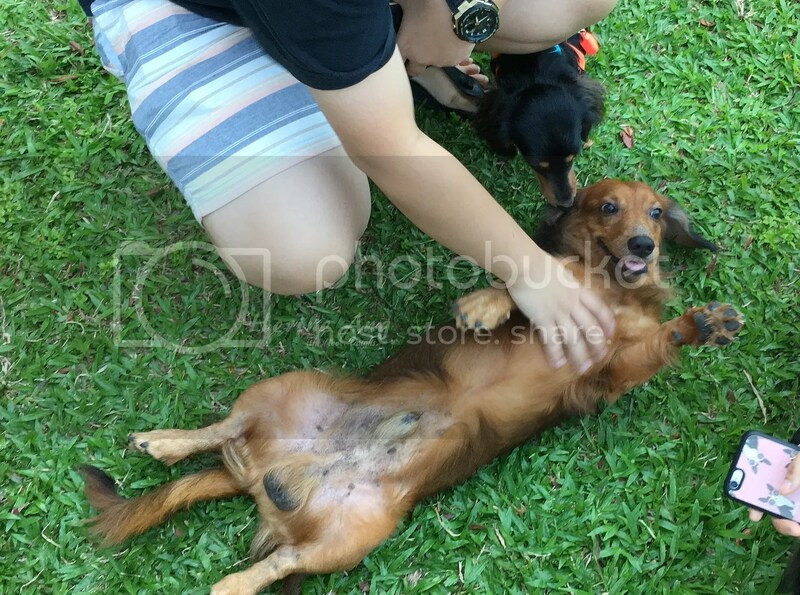 Belly-flopping and the love for belly rubs seem to be quite a dachshund thing? 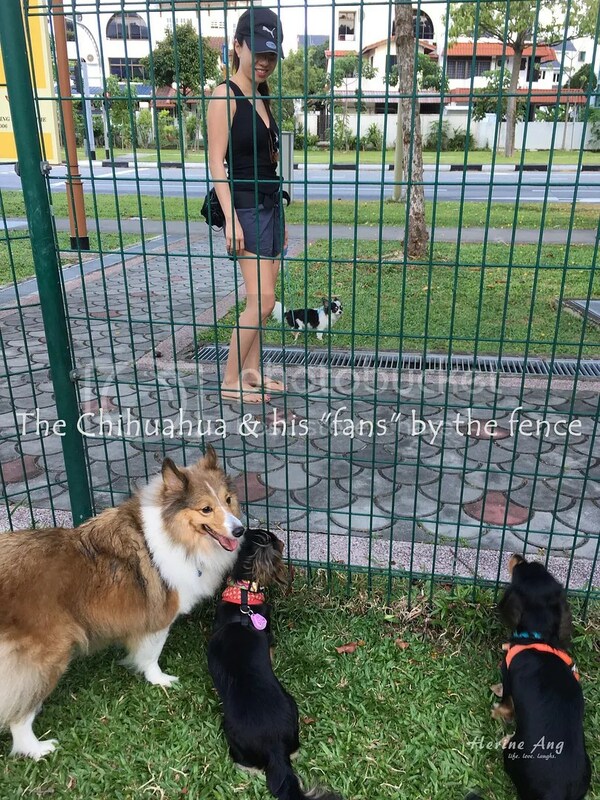 Bff and Buddy came along – garnering an audience behind the fence. 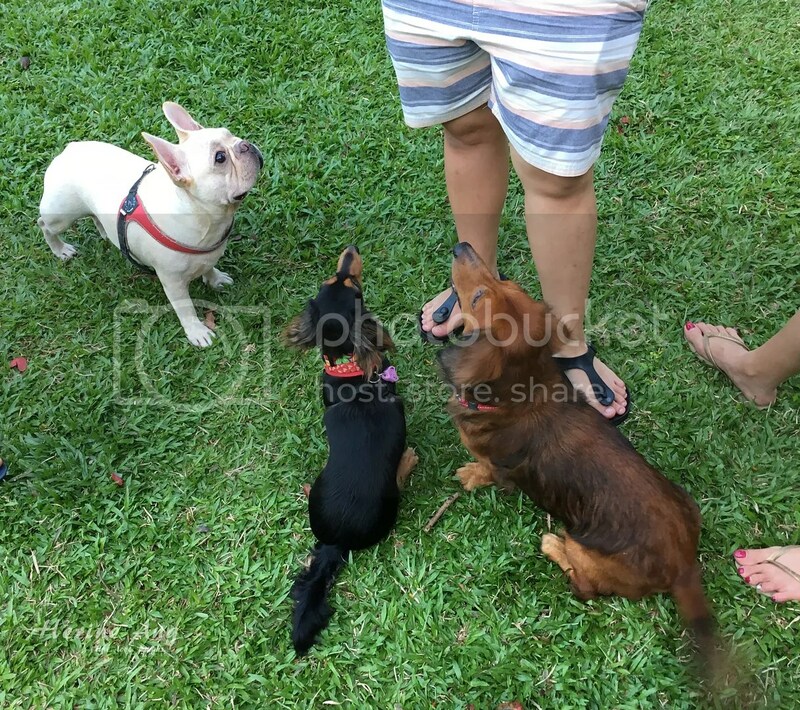 Petra whined and whined for Buddy, who didn’t bother to even look at him. Well, actually Buddy is a dog with a cat attitude. 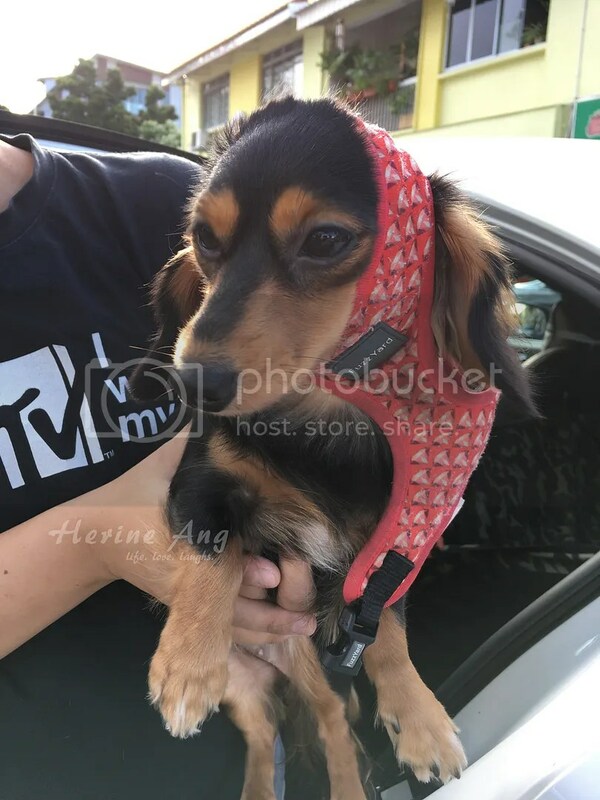 He dislikes mingling with dogs but is extremely manja with his humans. He loves walks but hates it when there are other dogs around. No joke. 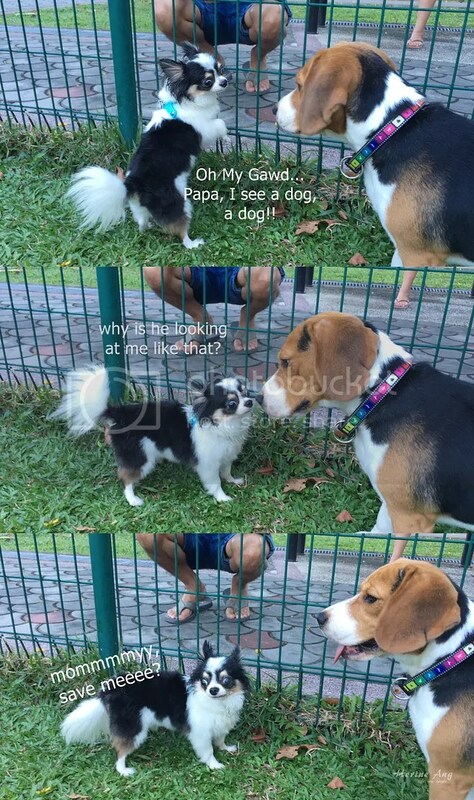 He sees a fellow dog like he sees a ghost. 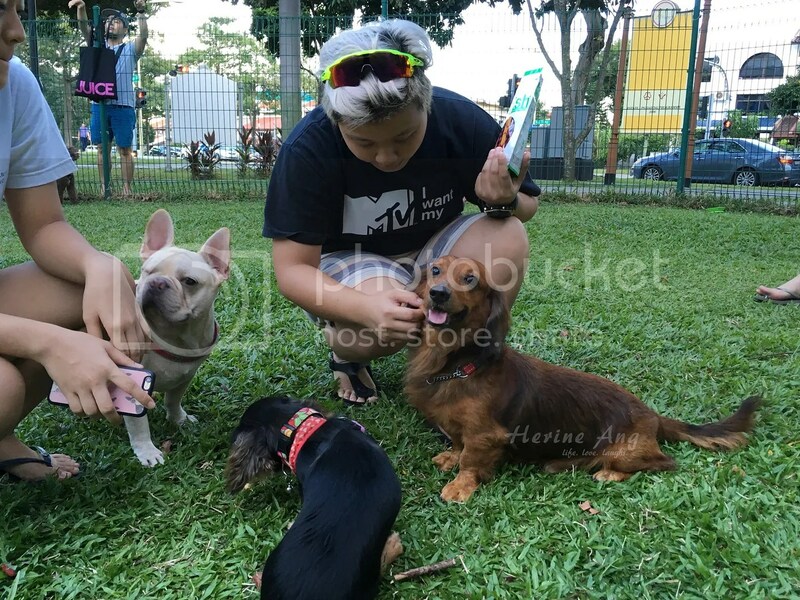 Overall, we can see that the pawkids enjoyed themselves at the dog run. I can imagine if I am a dog being leashed up, how nice would it be to run freely. They have been there twice and we will be exploring another dog run soon! 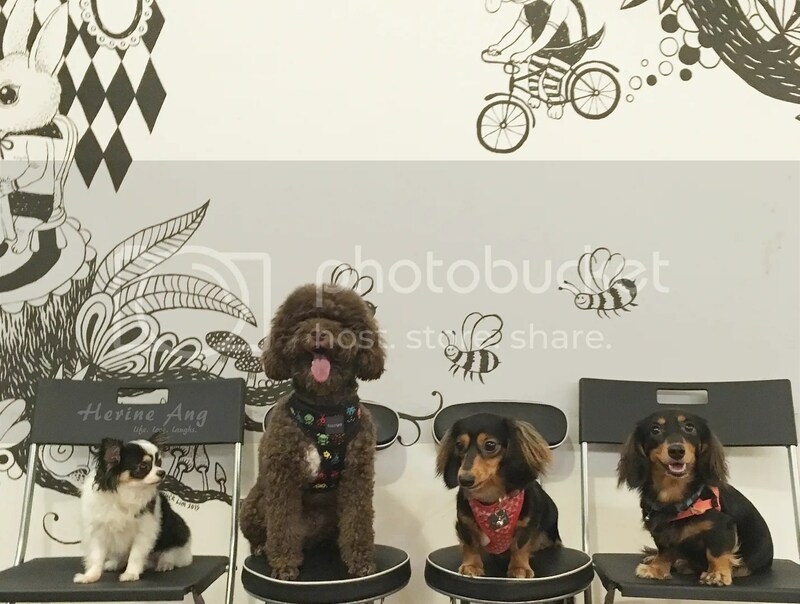 Ending with a cute group shot of this 4 at Happenstance.